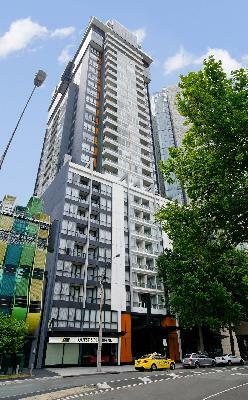 Conveniently positioned in the middle of the Southbank entertainment precinct the Quest Southbank Apartments are only a short walk from the Melbourne CBD, Crown Casino and Victorian Arts Centre. This affordable furnished accommodation provides guests with the choice of well appointed and modern 1 & 2 bedroom self contained apartments with views of the surrounding area. The Quest Southbank Apartments provide business and leisure travellers with not only a place to work or entertain, but also a space for the family to relax in during long term stays in Melbourne. These spacious & modern serviced apartments provide a location that you can really enjoy, with easy access to public transport and lots of fine dining, cafes, bars, and shops within easy walking distance from the property. The Quest Southbank is a newly appointed serviced apartment accommodation complex that offers fully furnished apartments that are modern, spacious and tastefully furnished to the highest standards for your comfort. For guest convenience the Quest Southbank offers great facilities including a fully equipped gym, sauna, spa, free cot hire, security car parking, restaurant charge back, breakfast packs, pantry shopping service, room service, tour desk, luggage storage, complimentary newspapers, concierge and high speed wireless Broadband. Staying at the Quest Southbank Apartments guests can easily walk to the following nearby attractions, the Crown Casino Entertainment Complex, Melbourne Cricket ground (MCG), Melbourne Park Tennis Centre, Royal Botanical Gardens, Olympic Park, Federation Square, National Art Gallery, Victorian Arts Centre and Southgate Promenade. Also located just a short tram/train ride away from this long term accommodation is the Albert Park Grand Prix track, Melbourne Aquarium, Etihad Stadium, Melbourne Aquatic Centre, Polly Woodside, St Kilda Esplanade, Queen Victoria Market, Lygon Street, Chinatown, Royal Melbourne Zoo and IMAX 3D Theatre.